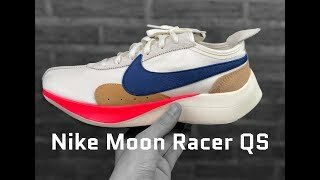 If you are looking for retro sneakers with a chunky design and yet want to avail the ease of a light weight style, Nike Moon Racer should be at the top of your list. 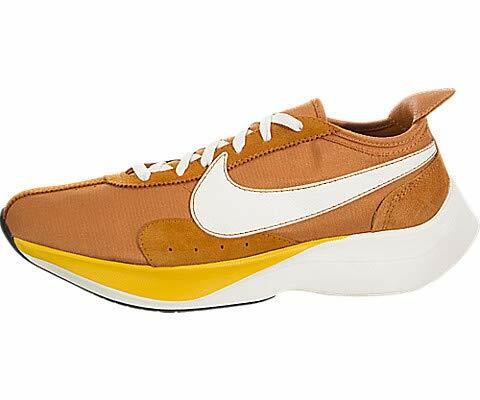 The design was first put out in 1972 and has made a successful return after all these decades. 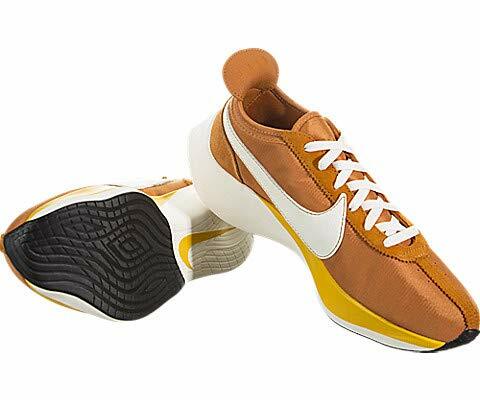 Taking inspiration from the original, the design is a reminiscent of its predecessor but with the help of newer technology, these running shoes have gotten another chance at impressing masses. 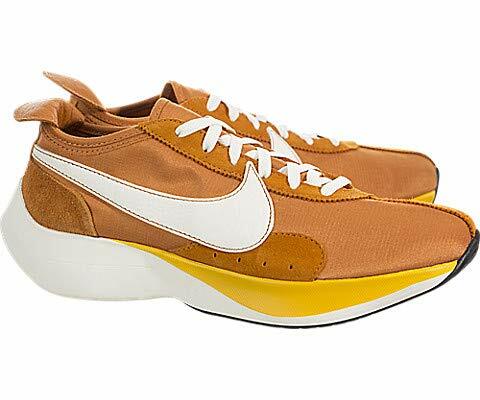 With a nylon mesh upper, Nike Moon Racer provides breathability that’s unrivalled, making it one of the factors that make the model a crowd favorite. 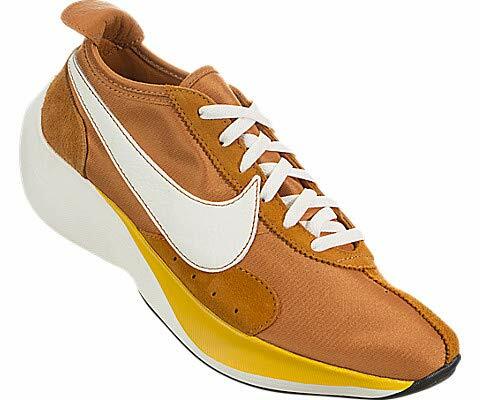 The model is a combination of some of the best shoes by Nike and hence has a different look from all angles. If you look at it from above, it is almost shaped like a bullet. And from the side it looks a bit bulky. But don’t let it fool you because the show is quite lightweight. It’s the cushioned midsole that has really been appreciated by the users. 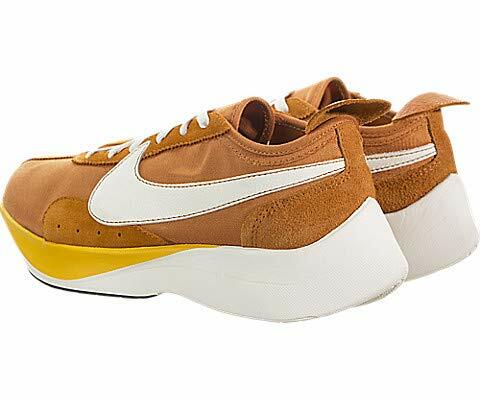 The pleasing look is something that surely adds to the model but the cozy design and materials used have made this design one of the best shoes out in the market. The modern comfort of Nike React foam is one of the reasons users love this new rendition. This is simply a great shoe to wear and even though it doesn’t scream for attention, it’s a great appealing factor for almost all outfits. Available in different colors, they are also one of the best women’s shoes out there. Boys aren’t the only one enjoying the comfort of Nike Moon Racer. He vibrant colors make sure these running shoes are the best fit for all genders. 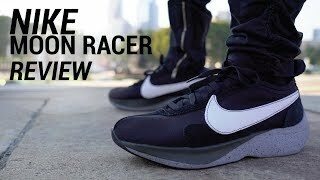 If style and comfort is your demand from running shoes, Nike Moon Racer is your safest bet!